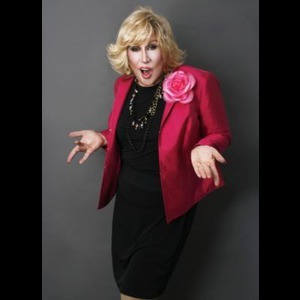 Devon Cass, New York's Premiere Joan Rivers impersonator will bring your guest to side splitting laughter with his amazing "High Energy" impersonation of the Queen of Comedy. Devon can also bring Joan's unique comedy to a "Red Carpet" welcome with quick and witty fashion advice and jokes in the style of Fashion Police which is sure to get the party started right! Devon Cass is also a premiere LIVE SINGING and SPEAKING Cher and Elvis impersonator, please listen to his audio samples and look at his pictures. he is like having Elvis and Cher at your party in person!!! If you want top notch entertainment which outshines the rest in look and performance hire Devon Cass Master of Celebrity Impersonation. Performance more importantly than look is everything in the art of impersonation and with his amazing abilities Devon gives you both! You and your guest will be mesmerized! 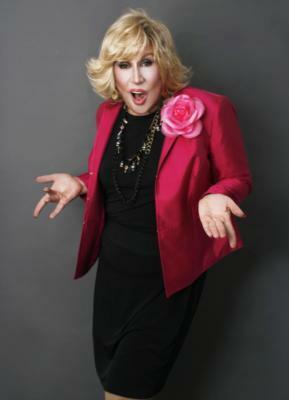 Please note Devon Cass The "Ultimate" Joan Rivers Impersonator will also travel to Long Island City, Brooklyn, North Bergen, Bronx, West New York, Union City, Weehawken, Flushing, Fairview, Edgewater, Hoboken, Jersey City, Ridgefield, Cliffside Park, Palisades Park, Fort Lee, Secaucus, Ridgefield Park, Leonia, Englewood Cliffs.